Since being pregnant, I’ve been amazed at how much more conscious I am of what I put in my body – eggs, curly kale, brown rice and oily fish are now not only more appetising to me but feel like essential things, and I get pleasure from eating them because I know how much good they’re doing. Plus, it helps that every couple of days R comes home with a bag spinach (or similar) and announces that I need to eat the whole thing, along with the rest of my supper. We are becoming quite the veggies! Anyway, luckily, I can’t get enough of all this yummy healthy goodness. (This is a whole new me – I was a bona-fide, committed-to- the-cause carbs, cheese and wine girl previously). So it’s a good development. But, that said, working 12-hour days and still keeping up a relatively busy social life at the weekends means I need quick and easy ways to ensure that me – and the baby – are getting all the goodness we need. Here is one of my favourite breakfasts that I can make at home and eat before I leave, or make in Tupperware and take to work, or even just make at work. It’s yummy, fills me up and feels very healthy and nutritious. 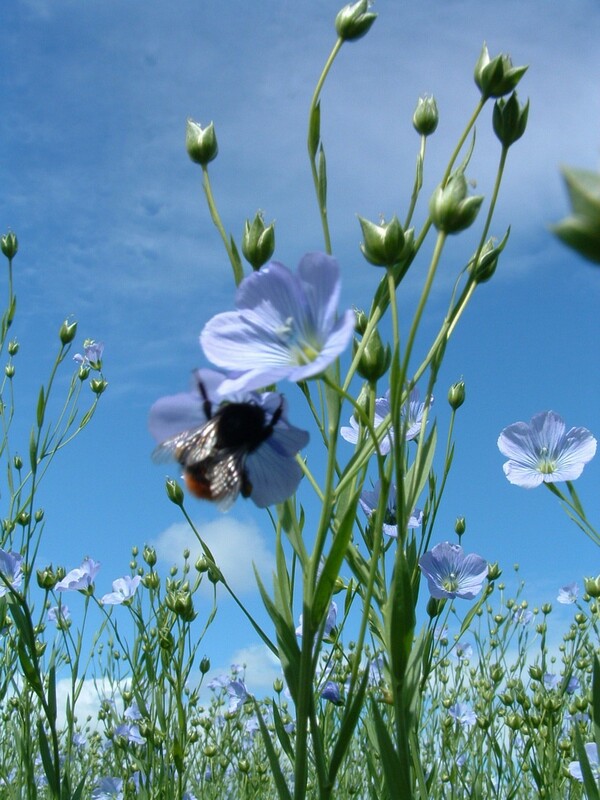 I was given this flaxseed mix for Christmas, and it’s packed with so many good things. 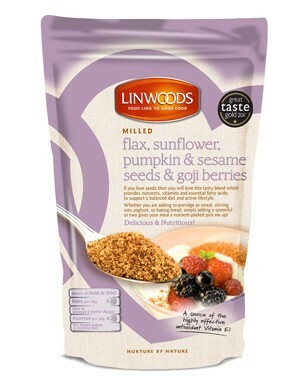 Not only is flaxseed amazing for some of less glamorous side effects of pregnancy, (feeling, errm, blocked up) but two scoops of this sunflower, pumpkin, sesame seed and goji berry mix provide over six grams of protein, as well as something called alpha linolenic acid, which is an essential omega 3 fatty acid that helps with good cholesterol. It is also a great source of Vitamin E.
Anyway, I stir about two dessert spoons of this into three big spoonfuls of goats yoghurt (much better than cow’s and personally, more delicious), along with half a banana and some good quality honey, (Manuka is obviously best if you can afford it). Stir it all around, and enjoy! P.S If you are somewhat of a Mary Berry type baking extraordinaire, you can even add to this your bread mix when baking, for super-nutritious carbs. Amazing.